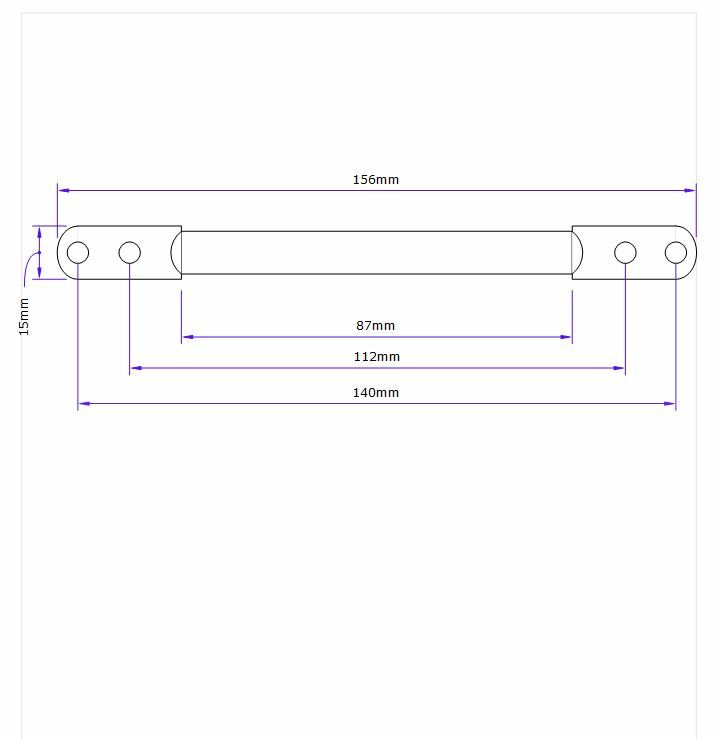 Our SLIM IRON AGE RAW Industrial kitchen door handle is the perfect industrial accessory for putting on rustic kitchen cupboards and drawer fronts. 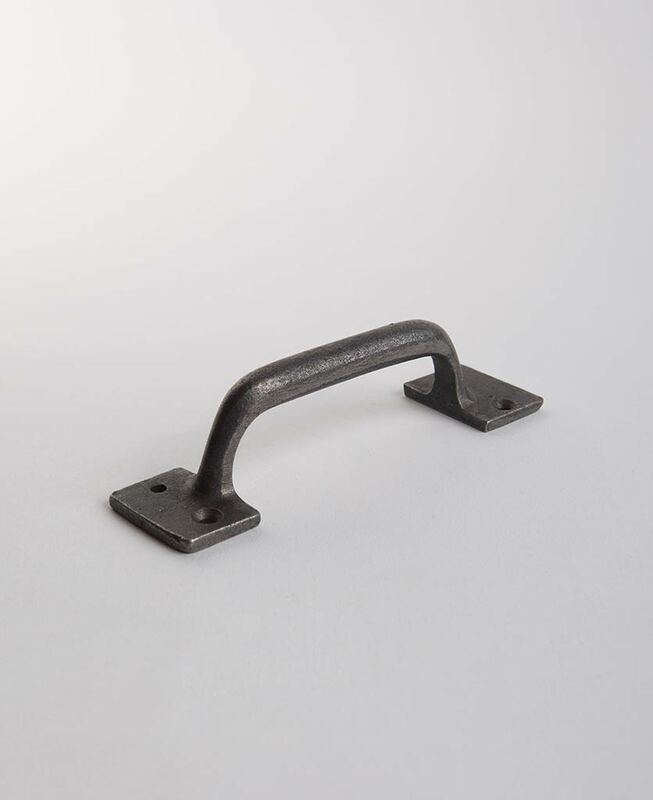 This iron pull handle is great for use on older pieces of furniture. 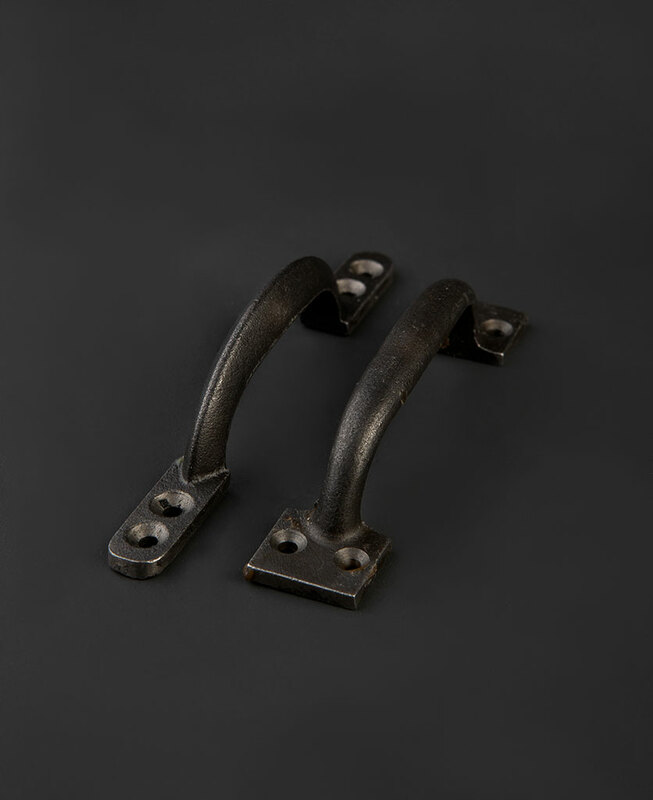 Our SLIM IRON AGE RAW Industrial kitchen door handle is the perfect industrial accent to rustic furniture. Ideal for farmhouse kitchen cupboards and drawers. The rugged metal finish contrasts beautifully with naturally aged woods, toughening them up a little. It comes in two slightly different styles, slim and deep. 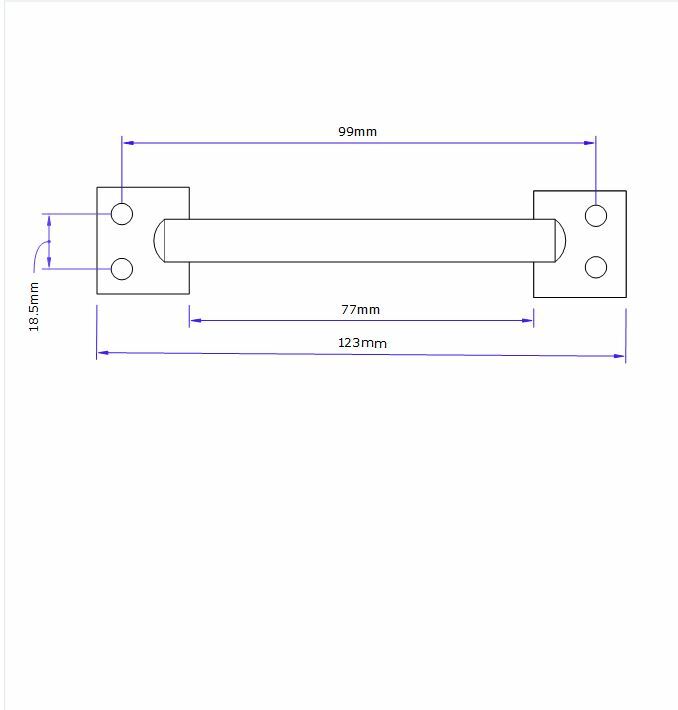 These refer to the size of the plate that fixes to your drawer front or cabinet door. The deep is a little chunkier in looks that the narrow one – you could say more butch. The slim one is good for slightly more delicate pieces of furniture. 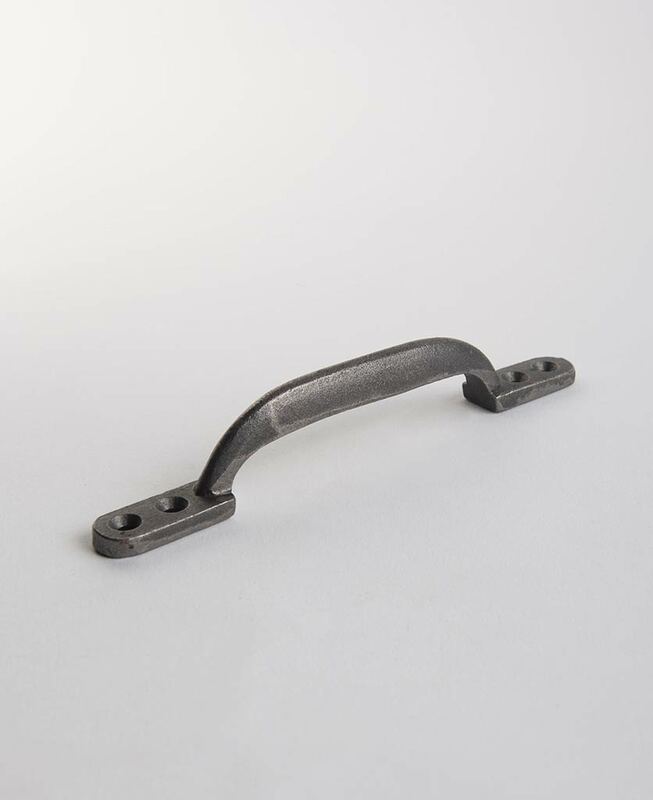 Made of solid cast iron, this pull handle is significant. It actually needs to be an integral part of the styling of your interior rather than an afterthought. These industrial style kitchen cupboard handles aren’t going to fade into the background. Use them as a contrast to your rustic items of furniture and they’ll look beautiful. 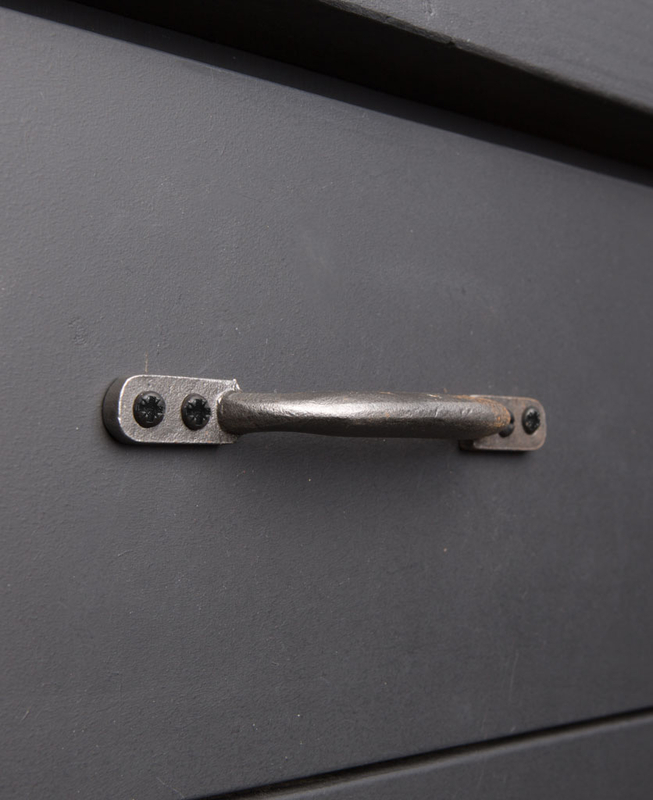 We love these metal kitchen door handles fixed to any wooden surface. Painted, natural or oiled wood all look great. If you’re going for a painted shaker look but want to make it look a little more ‘undone’ then these rugged iron handles are just the thing.